Readings: First Reading: Isaiah 40:1-5, 9-11; Responsorial Psalm: Psalm 104:1b-2, 3-4, 24-25, 27-28, 29-30; Second Reading: Titus 2:11-14; 3:4-7; Gospel Reading: Luke 3:15-16, 21-22. The public life of Jesus began with his baptism in the river Jordan at the hands of his cousin, John the Baptist. After this, he retired to the desert, where he fasted and prayed for forty days and was tempted by the devil. He next began to gather around him some disciples, and from these he chose the twelve apostles. 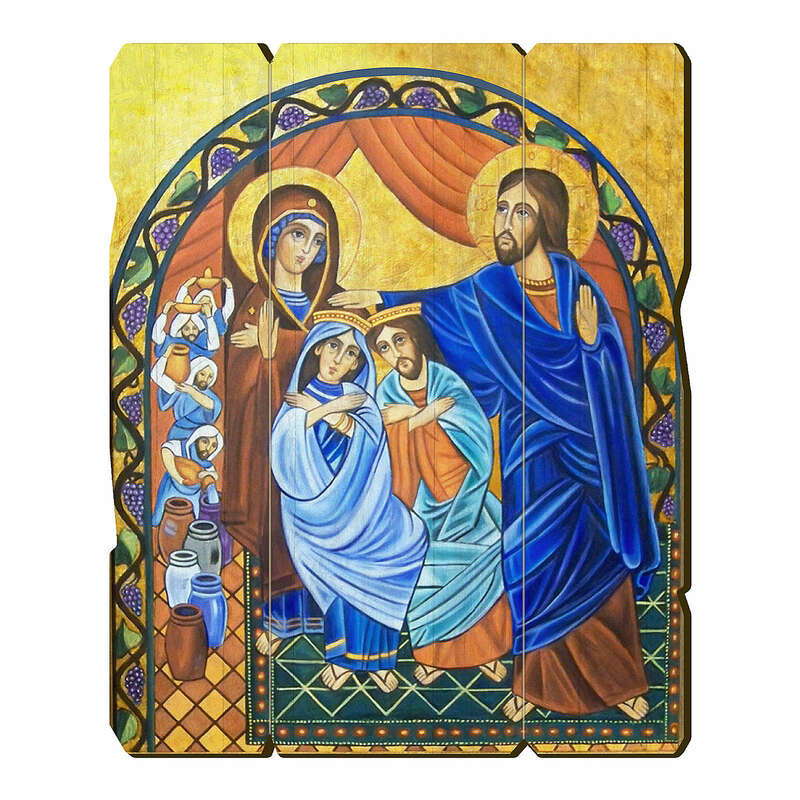 His first miracle took place at a marriage feast in Cana of Galilee, to which he and his first disciples -Peter, Andrew, Philip and Nathaniel- had been invited, along with his mother. It is this, his first miracle, the miracle of the wine, that we celebrate today. We have a hint that there is more to this than just a story, for the evangelist apparently takes for granted that his readers know that the water became wine. He really does not emphasize the miracle at all. His point is that the whole episode is a sign, which in his vocabulary means that, behind the mirace, there is more than meets the eye. Signs always point beyond themselves. The evangelist indicates that Jesus let his glory be seen, and in response the disciples believed in him. The sign then is not merely a miracle to arouse astonishment, but a manifestation of the divine glory, a kind of epiphany of the divine. Thus, we are led by the evangelist to read this text from a symbolic point of view and not merely on a story level. The problem is that there are many layers of meaning to it: the messianic age, the Eucharist, Mary as model of faith, etc. 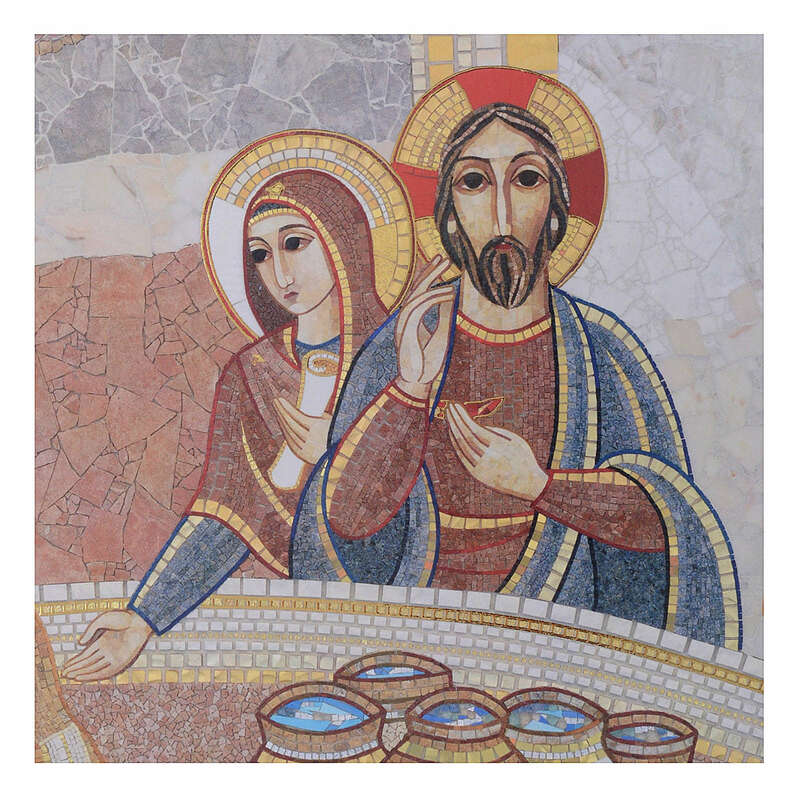 The miracle at Cana symbolizes both the coming of the messianic days as well as the Eucharist. The Old Testament pictured the people of Israel as the spouse of God, and saw in a wedding feast the symbol of the Messianic Age (1st reading). Likewise, the parables in Matthew’s Gospel show that a wedding feast is a messianic celebration. Above all, the remark of the steward, You have kept the best wine till now, allows the conclusion that the Messiah is already here. 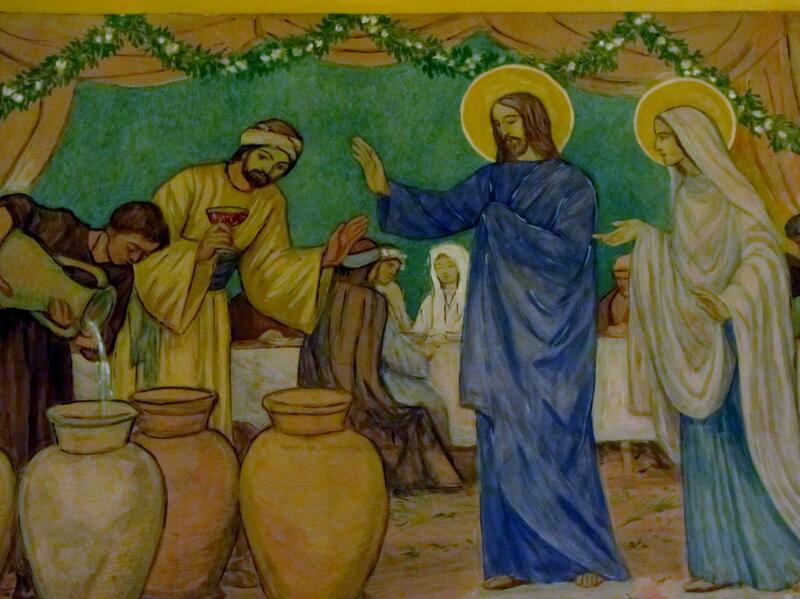 The miracle at Cana is taking place here and now, in the Eucharistic celebration. At the table of the Word of God, Jesus satisfies our thirst for the knowledge of life’s meaning with the wine of the Gospel. And at the table of his body and blood, he gives us strength to live not just for ourselves, but for God and for others. 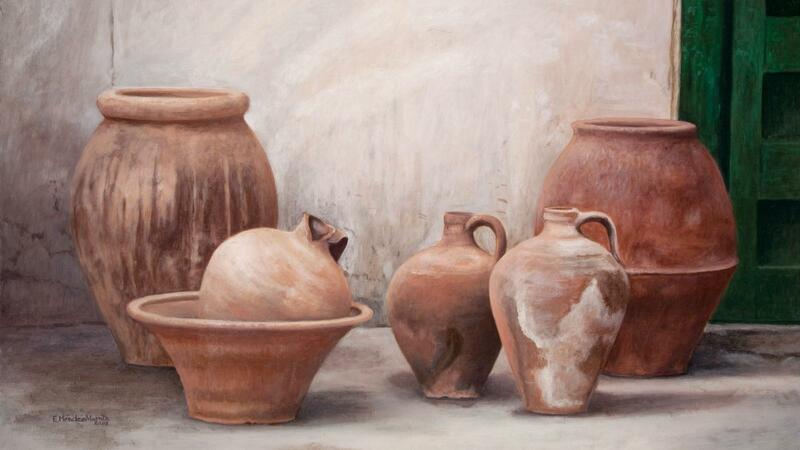 Here, as he did at Cana of Galilee, Jesus gives himself not only abundantly but superabundantly. There are other clues also. Jesus refers to his hour, which in John means his passion-resurrection. 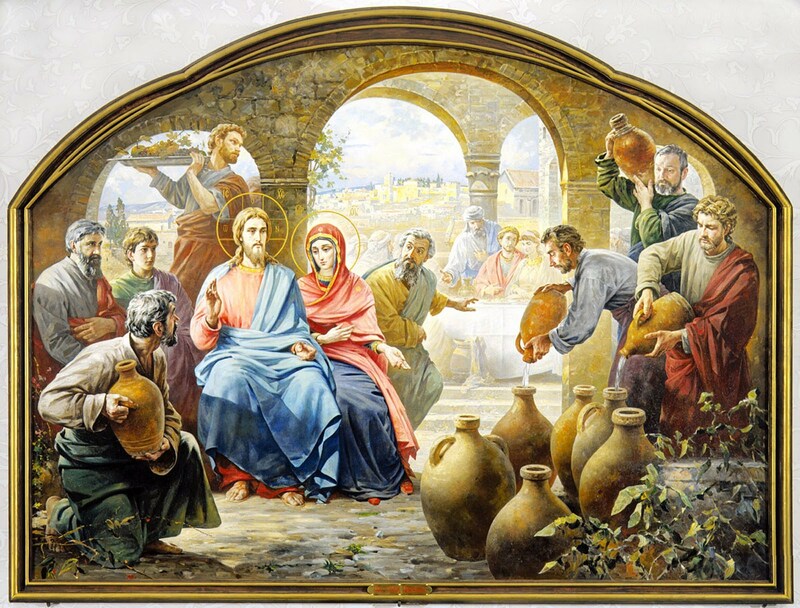 It has not become a reality yet, but it’s apparently anticipated in the miracle of changing water into wine at Cana. Jesus replaces the Jewish feasts –full of prescriptions for purification- with abundant wine and joyous celebration. Jewish customs and practices lose their meaning because Jesus is now the only way to the Father. Mary also plays a symbolic role here. She is the New Eve, the symbol of the Church. The next time Mary appears in John vill be on the Calvary, where Jesus again addresses her with the generic title of woman. John’s intended reference is to the woman of Genesis, the woman whose seed, Jesus, crushes the serpent’s head. There Mary is given an offspring to protect. It is only at the hour of the passion-death-resurrection-ascension that she will be given a role to play. Up to that moment, she has had no part in the ministry of Jesus. 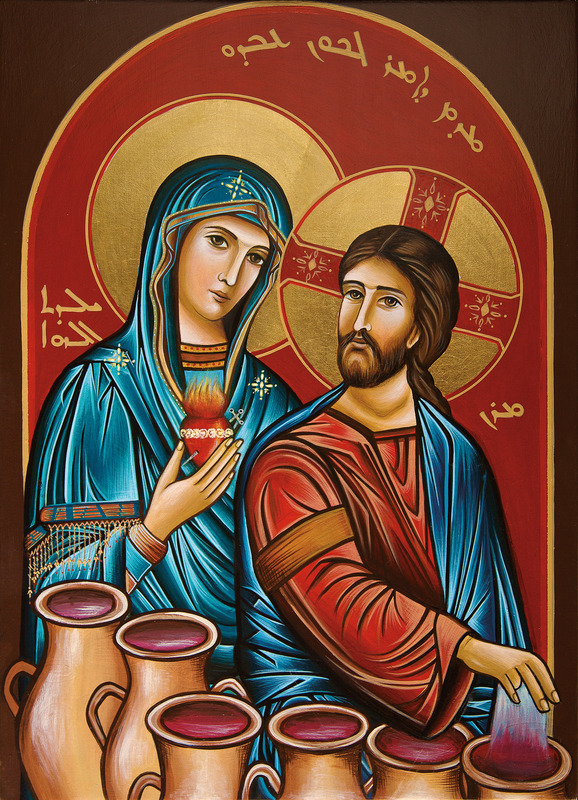 Here in Cana, Mary has a role in reasserting the faith of the disciples by somehow provoking the miracle of wine, which led them to believe in him wholeheartedly. 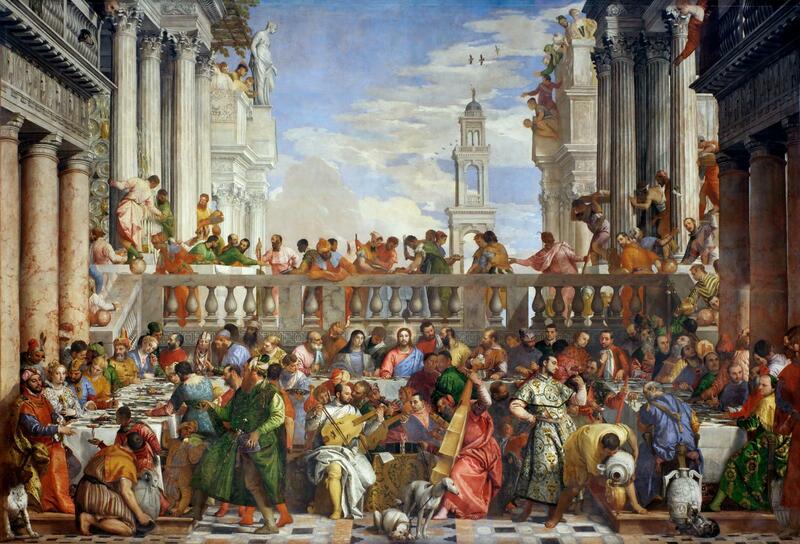 The impressive miracle at Cana takes place on the occasion of a wedding. The Fathers of the Church (ancient authors who have greatly contributed to establish the doctrinal tradition) have thought that the very fact of Jesus’ presence at the wedding raised Christian marriage to the category of a Sacrament. And the splendid miracle he performed on behalf of that young couple was a great gift to them, a symbol of the many other graces and favors which are received in the sacrament of Matrimony. The wonder and miracle of Cana’s wedding-feast has been summed up in a single verse. It was the 17th Century English poet, Richard Crashaw, who wrote: ‘The modest water saw its God, and blushed.”… The wedding, the concern of Mary and Jesus, even the changing of water into wine, are all but the raw material for a deeper meaning. 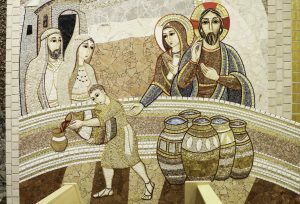 They form the “modest water” that “blush” into wine for us… At Cana, the great transformation is not water into wine, but disciples into believers!